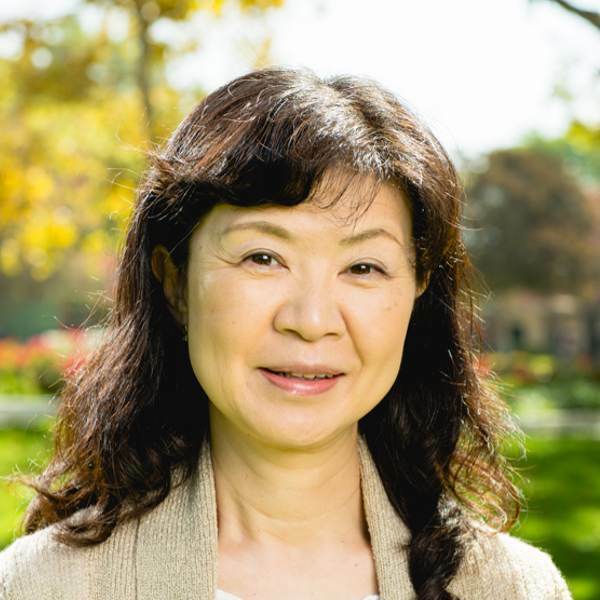 Manami Kawamura has taught Keyboard Sight-Reading, Collaborative Piano, Piano Pedagogy and Applied Piano Lessons at Biola's Conservatory of Music since 1990. Professor Kawamura studied in a specialized music institute in Japan which offered junior high, high school, and Bachelor of Music programs. Following her time in Japan she went to Biola for two years of post-baccalaureate studies and then on to Indiana University's Jacobs School of Music for her Master of Music in Piano Performance. While at Indiana she studied under Menahem Pressler, the pianist of the famed Beaux Arts Trio, distinguished professor at IU, and currently Biola's Artist-in-Residence. She says, "The first time I heard him in a recital with the Beaux Arts Trio, I immediately knew that he was the pianist that I was looking for and I had to study with him. By God’s grace, the opportunity was given to me at IU." Her other teachers include Jennie Wong and Hisako Mizuno. After finishing her Bachelor of Music degree, she performed in the 52nd New Professionals Concert which features Japan's top graduating music students. In the United States, she has given solo recitals, concerti with the Biola Symphony Orchestra, piano duos and duets with Menahem Pressler and numerous collaborative performances. She has gone on several tours of Japan and Indonesia both by herself and with other Conservatory faculty members. Her teaching career in the United States started at IU where she received an assistant instructorship with a tuition waiver and taught private lessons and class piano. At Biola, students have flourished under her teaching. In addition to winning numerous awards and competitions, some of them have continued on to higher education at institutions such as: Indiana University (studying with Menahem Pressler and Edward Auer), Eastman School of Music (studying with Nelita True), University of Southern California (studying with Antoinette Perry and Steward Gordon), Northwestern University, New York University (studying with Jose Mendez) and San Francisco Conservatory (studying with Timothy Bach). She has given masterclasses at various MTAC branches, Opus 119, Yamaha Music School, Tokyo Christian University, Christian Academy in Japan, Universitas Pelita Harapan, Sekolah Pelita Harapan, adjudicated competitions for MTAC and CAPMT and is an Adjunct Professor at Pasadena City College.